Do you have a LEGO love in your house? I do. My son can spend hours playing with his Lego bricks as a matter of fact he is actually on the Creative Crew at our local Legoland Discovery Center and hopes to one day be a LEGO Master Builder. So if you have a LEGO lover in your home here is the perfect item that will keep the inspiration flowing and help your LEGO lover achieve master-builder status! 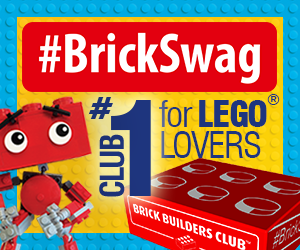 BrickSwag is box full of LEGO-themed merchandise that arrives monthly in the mail just for your builder. It even arrives with their name on the package. 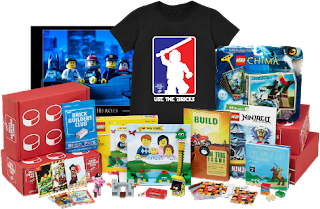 BrickSwag has a mission that most moms can appreciate and that is....To Inspire, Educate, and Entertain with LEGO bricks. Use this code for an additional 20% off your membership: FAM20 (valid until 11/30).